What a concept. Rebuild Microsoft Edge (yes, please do) and have it run with Chromium (hmm, ok)? That is what is happening with the Microsoft launch to come soon. And comments are already coming forth, with a build of the browser having reportedly leaked. Reader reactions to the rebuild news have not been "Lol, Edge, who cares" but more in the line of "I'm looking forward to the new Microsoft Edge." As one site's comment said, "Looks unsurprisingly very good so far thanks to Chromium." Tech watchers are talking about leaks and sneak peeks before the official debut. Microsoft's Edge web browser is in for a rebuild—under Chromium. Though the new Edge browser did not yet launch and only recently began testing, there was a leak of the full download, reported Jack Wilkinson, OnMSFT.com. The leak was spotted by Aggiornamenti Lumia; Wilkinson offered sound advice: "do exercise caution if you plan on installing this package, as it has not been independently verified to be safe." Advice was offered to wait until the public preview was available.Windows Central said the public preview was expected within a couple of weeks. Microsoft's latest secret weapon, in contrast to the spirited but at times misfiring old days: drop the weapon and coexist. This browser effort is a case in point, as browsers from Microsoft in the past have not earned the highest points. HotHardware on Microsoft Edge: "Although it has been praised for its speed and battery life benefits over some competitors, many have lamented its lack of features and compatibility. These complaints may soon be resolved, however." Brad Sams in Thurrott, meanwhile, said he got his hands on a first-look Edge on Chromium. He said, "Upfront, this feels a lot like Chrome with Microsoft polish on top of it." JC Torres wanted SlashGear readers to understand this really was about Edge and Chrome, not just an attempt to rebrand Google Chrome and call this "Microsoft Edge." Nope. "Chrome itself is built upon Chromium, which other smaller browsers also take as the foundation for their software. Microsoft is taking that latter route and is bringing Edge's features to that common base." Sams found cause for enthusiasm over the pairing: "Edge has the one critical item that always kept me crawling back to Chrome. If you are on a webpage, you can easily turn it into an app, by clicking the three dots in the top right and clicking install app. This is huge, as it allows me to turn Google Calendar, Tweetdeck, and a few other pages into applications on my desktop that makes my workflow, a lot easier." One article about Microsoft Edge with Chromium getting attention was Tom Warren's piece in The Verge, which got an early look at the browser. "The software maker has been testing versions of this browser internally at Microsoft, and now The Verge has secured an exclusive first look at the early work thanks to a source who wishes to remain anonymous." As in existing versions of Edge, Warren noticed a read-aloud accessibility option that reads the page out loud. He said you will be able to install Chrome extensions from Google's online store by flipping a switch in the extensions settings. 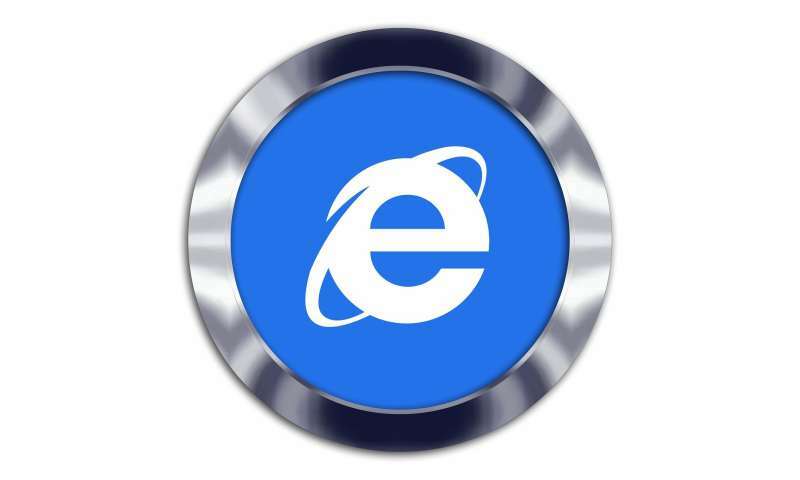 Warren's overall verdict was that, for an early version of Edge built on Chromium, "Microsoft's new browser feels very polished." Ewan Spence in Forbes weighed in, saying that "Practically users should not see any difference in the browser. It will still be Edge, it will still have the same look and feel, but it will have better compatibility and the ability to run Chrome-based extensions." That seems to be in line with what Warren found:"Most of the user interface of the browser is a mix of Chrome and Edge, and Microsoft has clearly tried to add its own little touches here and there," said Warren. "While the previously leaked screenshots made Edge look very similar to Chrome, Microsoft is adding its own touches and animations to make it look and feel like a Windows browser." So, what exactly was f0und to be attractive by all those who were able to get some looks? Windows Central did a hands-on of "an early, pre-release build." First impressions? Good. Zac Bowden liked its performance, stability and how webpages like YouTube loaded with no lag or hanging. The Verge said it was "very fast to launch and browse around with." Still hungry for details on what Edge will do in its new form? HotHardware had some specifics on how it will be more customizable than its predecessor. "Users will be able to choose the format of their home page—Focused, Inspirational, Informational, or Custom. They will also be able to import their settings from other browsers and download extensions from the Microsoft or Chrome stores." Peter Bright, Ars Technica, offered a look at branding. "The preview release will be called Edge Insider because Insider is how the company is branding all its previews (Windows, Xbox, and Office already use that terminology, for example). The preview will also take a big leap in version numbers (Edge is somewhere in the mid-40s, whereas Chrome is now in the mid-70s), but it appears that Microsoft's goal is that the new browser will just be 'Edge.'" Display text, play videos, hide your passwords but remember them, prevent advertising, pop-ups and interruptions, and otherwise be seen and not heard. Like the ideal 50s child, not to speak unless spoken too first. Microsoft as usual wants you to conform to their thoughts. The Edge browser will not let the user drag and drop a link onto the desktop. Why anyone would delete this feature is beyond me.